What is the Koh Samui Sunday night market? The Koh Samui sunday night market, a cross junction of four streets filled with energy, atmosphere, food and goods stalls. This is the ultimate Koh Samui Market. Two of the Lamai night market’s streets of mouth-watering food and the other two sell gifts, electrical and clothing items. I enjoyed every minute of scanning the goods of what is probably Thailand’s best night market. The Koh Samui Sunday night market attracts visitors from all over the Thai island. I didn’t know there was that many people on this island, until I seen them all gathered at the best night market on Koh Samui. There is a lot of top markets on Koh Samui, but this is definitely the best one to check out. The island itself is quite big, so the best to travel around Koh Samui is by scooter. 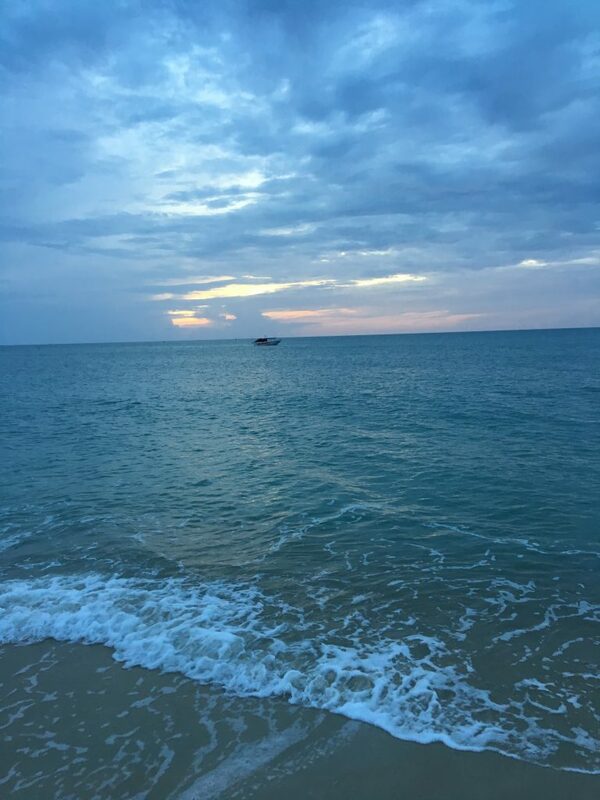 If you are on Koh Samui then you should check out the best beaches on Koh Samui. This island has some amazing beaches, you will get to see on of them when you visit this epic Koh Samui market. 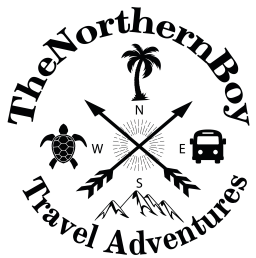 If you are travelling from Bangkok to Koh Samui then you should get the overnight train. There is plenty of stalls on this epic Koh Samui Market and no matter what you are looking for you will surely find it here. I desperately needed a phone case and I found one on this mega market for just 80 BHT. Don’t worry if you can’t find what you are looking for on the Lamai night market as there are plenty of other markets on Koh Samui. 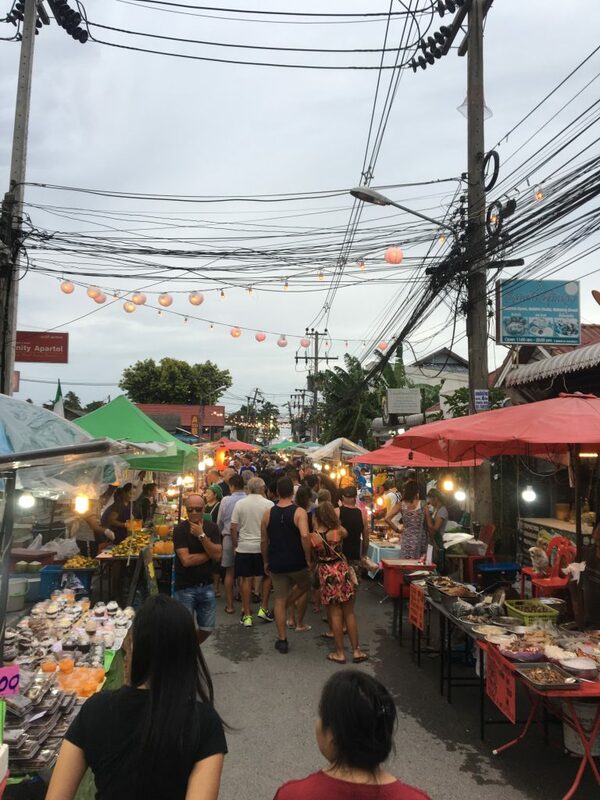 Even if you are not looking to buy anything, the markets on Koh Samui are definitely worth visiting to get involved with the vibrant atmosphere and fun. Don’t worry about the stall holder’s begging for a sale, everyone is really friendly and you are free to look at the goods at your own pleasure. What is sold on the Koh Samui Sunday night market? Expect epic low prices on all goods on the Lamai night market in Koh Samui. I couldn’t believe how cheap the food is. Even on a backpacking budget, I got to eat loads and it only cost me $3. You can get chicken skewers for $0.40, fruit shakes for $1 and pick up a Tshirt for $2. 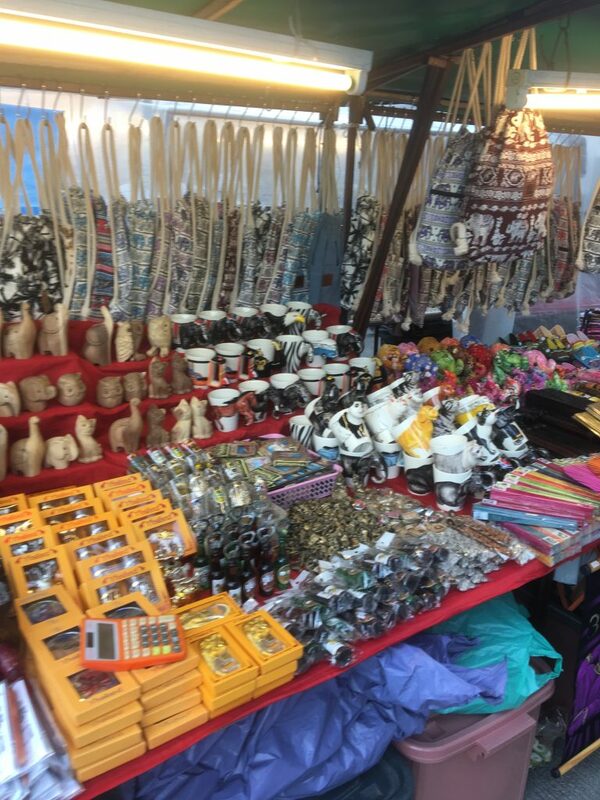 The Koh Samui Sunday night market so much to offer you and you are sure to find any sort of gift you want. Some of the stuff on the Lamai night market isn’t all that, but can find some bargains. Remember your bartering on the night market! The locals always start the price higher than what they expect you to pay. Let’s have a look at what’s sold on the Koh Samui markets for shopping. First of all, don’t worry about eating street food in Koh Samui or Thailand. I know some people think they may get food poising, but honestly I had plenty and I wasn’t ill once. The food is actualy really tasty and at amazing prices. Okay now that;s out of the way let;s continue. 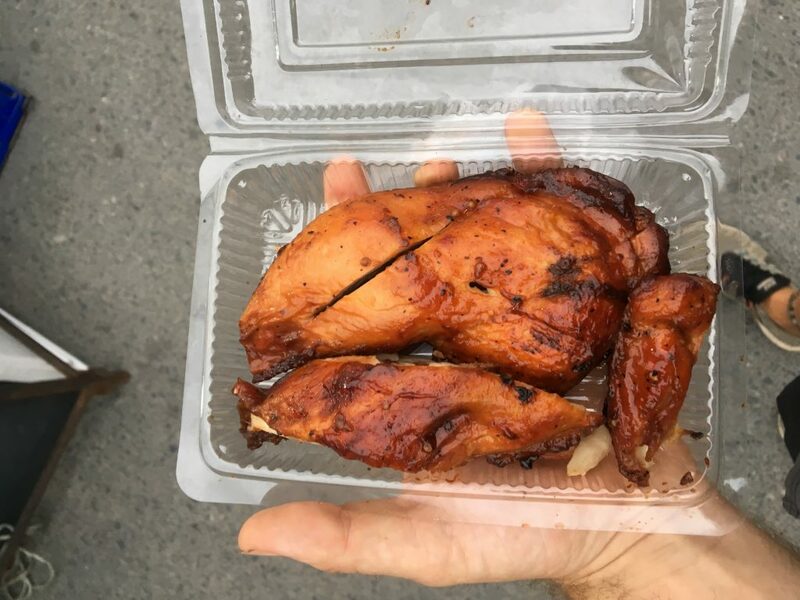 I love chicken and there must be half of Thailand’s cooked chicken on the Koh Samui Sunday night market. It’s everywhere and at great prices. There’s also every other meat you think of on the Lamai night market. I saw crocodile meat, crickets and squid. Some people was loving the squid on a skewer, that ain’t for me though. I picked up what must have been at least half a chicken, for just under $2. It was mega tasty. What ever meat or seafood suits your taste, you’re sure to find it on this sweet night market and at very low price. Don’t forget the restaurants on Koh Samui are still open when the night markets are on, so you can nip into one of the cafes if you prefer meats from one of Koh Samui market street restaurants. Why don’t you check out the best things to do in Koh Tao if you are island hopping. ice cream, chocolate pancakes and fresh fruit shakes. The Lamai night Koh Samui market sells it all and you won’t believe how cheap it is. You can pick up a coconut ball for $0.15, it’s crazy. The pancakes are a big hit on the Koh Samui night markets. They’re mostly all $1 and you can have them with whatever toppings you want. For chocolate lovers there’s nuttella. For healthier option there’s banana and pancake, they’re all real tasty! I got my flavour on with the Thai famous coconut ice cream, it was amazing! Coconuts are popular in Thailand and the Thai locals make all sorts with this tasty treats; coconut ice cream, coconut juice, coconut oil, coconut curry and what ever else they can make use of a coconut for. Are you visiting the epic Koh Samui beaches? 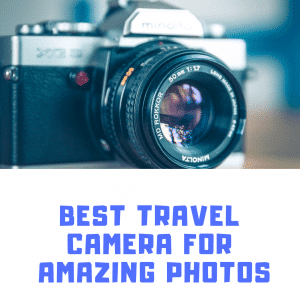 You should the best beaches on Koh samui or the best beaches on Koh Tao. Top tip for Thailand – If you are withdrawing money from an ATM, then use the yellow ATMs. You will get a ticket for a free icecream at one of the 7/11 shops. There are some amazing gifts on all the Koh Samui Thai markets and the Lamai night market provides some of the best. You can pick up unique items for the home, gifts for the family and things such as cool quirky bags. We picked up a local handmade Thai bag for $1. One of my favourite items they sell is the wet bags. They’re very cheap and provide so much use. They’re perfect for on the Koh Samui beaches or day trips and they will always keep your stuff dry. There’s plenty of clothes/shoes for men, women and children. You can pick up a local hand-made vest for $2 or why not got a Nike (copy) vest for the same price. The Koh Samui markets sell a lot of copies of worldwide big name brands. But, to be fair they’re really good quality. Nevertheless, you can grab some great clothing from the Koh Samui Sunday night market. 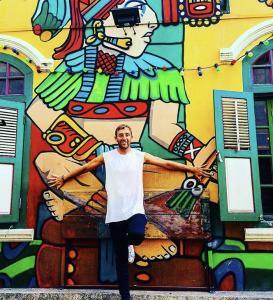 What time does the Koh Samui Sunday night market start and where is this Kh Samui market? I turned up to the Koh Samui night market at around 4:30pm and the stalls was just setting up. The actual start time of the Lamai Sunday night market is: 5:00pm. The finish time of the Koh Samui Sunday night market is: around 11:00pm. Use the map to see where the Lamai night market is located. What else is near the Koh Samui sunday night market, Lamai? There are some cool other things to see and do near the Lamai night market. I got a session in at the Ultra bodies gym, the cost is of the Koh Samui gym is 200 Baht ($6). 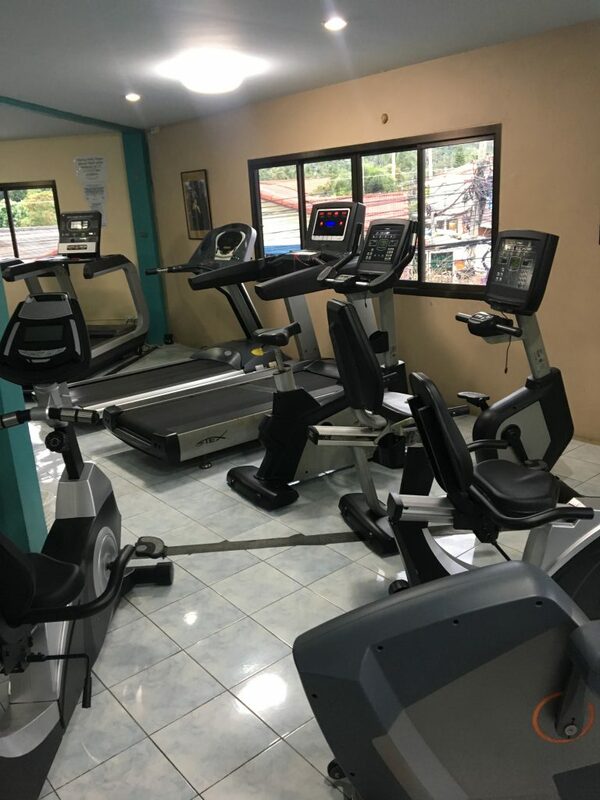 It was quite expensive due to it being a newly renovated gym. It’s a mega gym and provides everything you need for keeping healthy and fit whilst visiting Koh Samui. I think there may also be a Thai boxing gym nearby too, you will find Thai boxing gyms scattered all over Koh Samui. Lamai beach is one of Koh Samui’s most popular beaches. The beach on Lamai is a great chill out area on a Sunday night. We joined other ‘chillers’ on the beach with our treats from the Lamai market and filled our faces while the sun went down. Lamia beach is also a great place for something to do in the day on koh Samui. You can have a snorkel or swim in the sea. It’s all also a beach with a good atmosphere due to it being one of the more popular beaches on Koh Samui. After checking out the Koh Samui markets you should have a look these top places to eat on Koh Samui. There are plenty of great restaurants in Koh Samui and some of them are behind the Lamai Sunday night food market. They’re all very quite, because everyone is going mad for the food stalls on a Sunday night. You can access the Lamai beach from the Sunday night food stand street, it’s best to get yourself a treat and then go kick it on the beach. What about the Chaweng Night Market on Koh Samui? I have been to the Chaweng night market and to be fair it’s a good market. However, I think the Lamai night market is better and there’s more options of goods and food on Koh Samui’s best night market. The Chaweng food night market is open 6 days a week, so it’s worth visitng both this and the Lamia night market. The Chaweng night market opens Monday to Saturday, from 5pm – 11pm. There are a few other great markets on Koh Samui, each night of the week for you to enjoy. Each one offering you a unique experience of things to do on Koh Samui. 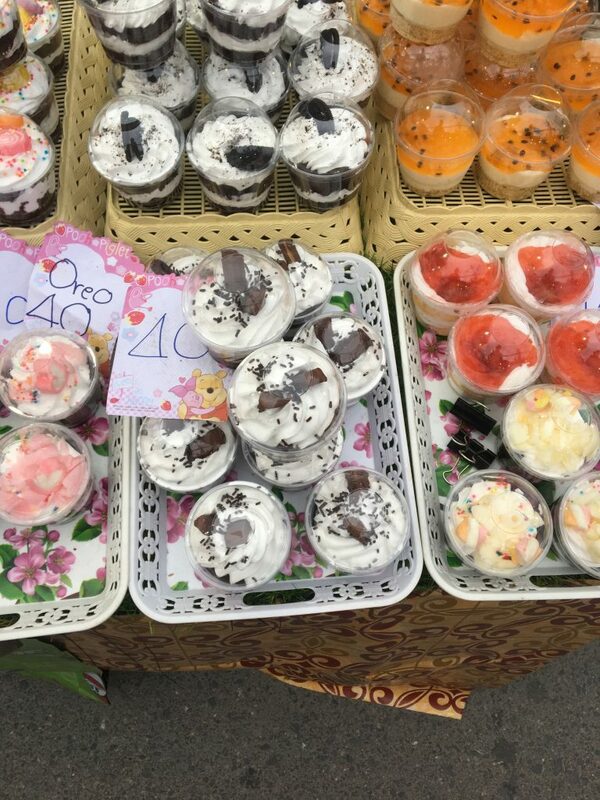 Whether you enjoy Thai gifts, Thai food or just fancy a look the Samui night markets, there is something on these epic stalls for everybody. When visiting the Koh Samui markets, always remember your bartering skills! Sometimes there is live entertainment on the markets, such as singers and other acts. They actually fun and brings a good atmosphere to Koh Samui. If you go to the night markets a little later on, you maybe able to get the prices of the goods even lower. I wouldn’t expect cheap prices when the Samui night markets first open. If you a buying more than one on anything, this includes food. Then you should ask for maybe a free item. I have done this many times and a lot of the times I do get one or more free if I am buying for example, four t-shirts. 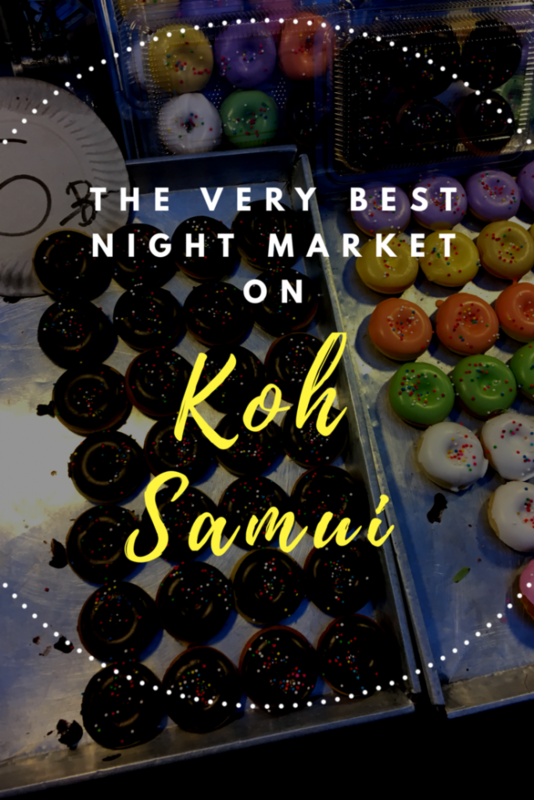 Make sure you visit the best night market on koh Samui or one of the many other top markets on Koh Samui and be sure to bag yourself a bargain and taste some epic food. There is plenty of things to do on Koh samui, but the night markets are a perfect way to end a great day on one of Thailand’s best islands to visit.